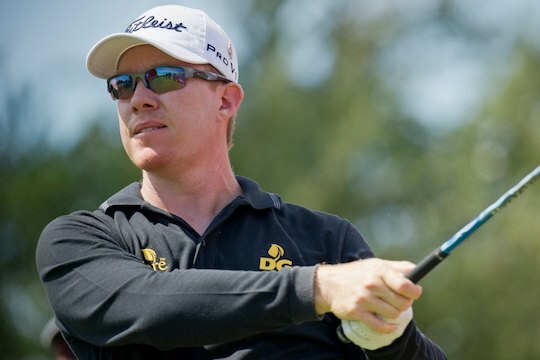 Queenslander Brad Kennedy returned to last week’s Kansai Open on the Japan Golf Tour as the defending champion and can be particular proud of his defence, shooting a final round four-under 68 to finish in a three way tied for 3rd, three shots behind eventual winner Koumei Oda. Oda finished the 72 holes at the Rokko Country Club course at 15-under par 273, two shots clear of overnight leader Yoshinori Fujimoto with Kennedy, Hiroo Kawai and Dong-kyu Jang a further shot back at 12-under. Adam Bland continued his good form in Japan this year with a top-20 placing, tied 19th at 8-under par, while Stephen Leaney and Matthew Guyatt were further back at 4-under in a tie for 36th. Despite being one of the second string events on the Japan Tour, Kennedy’s strong form is perfectly timed with next week’s Gateway to the Mizuno Open in mind. The Mizuno Open is one of the pre-qualifying events being staged around the globe for the Open Championship at Royal Liverpool in July. Nine Australians will tee up in next week’s event trying to emulate the achievement of compatriot Brendan Jones, who booked his ticket to The Open Championship at Muirfield with victory last year. Jones will be missing after with an ongoing wrist injury, undergoing a second bout of surgery earlier this month to remove screws that were inserted earlier last year.